Mal Meninga vowed to take Australia back to the top of the Rugby League pile when he was unveiled as coach and punters are convinced the former Maroons mentor will deliver on his promise when the Kangaroos line up against the Kiwis in the Four Nations decider just after midnight Monday. Still undefeated under the tutelage of Meninga, Australia will start white-hot favourites in the Anfield showdown, with money coming in for them at their $1.25 quote. New Zealand, by comparison, remain despised $4 outsiders, attracting just three per cent of the early money. Line betting paints a similar picture with practically every bet being for the Kangaroos giving up the 10.5 points start. What can you say about the Australian cricket side? Probably not a lot that hasn’t already been said, but they do have some time to rectify their problems before the third and final Test gets underway on Thursday of next week. Pre-match, the draw was sensationally backed in Hobart ($2.25-$1.60), and even though there was no play on day two, the match was still over inside two and a half days. Jordan Spieth heads the betting to win the Australian Open this week at $4, and as he also won this event in 2014 (when played at The Australian), UBET customers are very keen on Spieth at that price. Adam Scott is the second pick at $4.50, and then there is a huge gap to Geoff Ogilvy and John Senden at $21. The Open will be played at Royal Sydney and it is worth noting that Senden did win this event here back in 2006. Spieth and Scott are the only two in the world’s top 100 players who will be lining up, but it does feature several players who have been playing well on both the US and European tours including Rod Pampling, a $23 chance in the opening market. Rory McIlroy is the $4 favourite to win the World Tour Championship in Dubai this week, the final event for the year on the European Tour. McIlroy won the Race to Dubai last year, and the bag of cash that goes with it, and the main stumbling block appears to be Henrick Stenson, winner of this event in 2013 and 2014. Stenson’s form has improved a lot in the latter half of 2016, and is solid in the betting at $7. Alex Noren won the Nedbank Challenge last week, his fourth win since July, so he is another player in terrific form and has been well supported at $15. The US Tour event is the RSM Classic and Chris Kirk, winner in 2013, opens the favourite there at $15. Matt Jones is the shortest of the Aussies but is well down the list at $101. Brisbane will ditch the orange this weekend and instead wear maroon into battle against Sydney FC at Suncorp Stadium in an attempt to instil a State Of Origin feel to the showdown. Whether or not the marketing initiative gathers any momentum we will have to wait and see, but just like their rugby league counterparts, the Roar look like they will start as underdogs, installed as the $2.80 outsiders to the Sky Blues’ $2.50, and although there isn’t much separating the pair price-wise, the early support has been with the Sydneysiders. Week seven kicks off with another competitive game between Melbourne City and the Western Sydney Wanderers. As the odds suggest – City is $2.50, the Wanderers $2.65 and the draw $3.55 – there is very little between these teams and it should be a cracking betting game. Punters should take note, Tim Cahill was omitted by the Socceroos for their midweek World Cup qualifier against Thailand and will no doubt be champing at the bit to find the back of the net against the Wanderers. The NNL, the new netball championship in Australia, will get under way in February and the UBET market to win the comp is open. Eight teams will do battle with New Zealand establishing its own competition, so there have been some big changes. None more so than Collingwood, and they have recruited well and have the backing of the footy club. The Magpies have been installed as the $2.40 favourites with another new franchise, the Sunshine Coast Lightning, equal second picks at $5 with the Queensland Firebirds. With Andy Murray in good form, and now the world number one, the Scot has been a significant mover in betting to win the Australian Open in January. Murray was $4 when the market opened after the US Open, but has been crunched into $2.70. Oddly enough, Aussie tennis fans don’t normally warm to Murray in titles betting, but they are all over him this time. As a result of that, Novak Djokovic has been a drifter, out to $2.20 from an opening $1.80, with Nick Kyrgios popular at $23. Serena Williams is the $3 favourite to win the women’s title, but the early money has been for last year’s winner Angelique Kerber ($7), Dominika Cibulkova ($21) and Madison Keys at the same price. 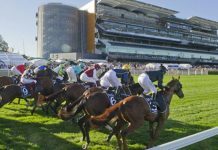 The Melbourne Cup will be run at Sandown on Friday night, and fastest heat winner Zambora Brockie is the current well backed favourite at $2.25. Zambora Brockie set the track alight in the heats after winning the Shootout the previous week, but will have to overcome box three in a race where there is a lot of pace. 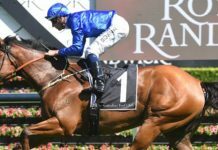 That will be no easy task, and while he has been clearly the best backed, there is also money for Barton Bale ($7.50), Worm Burner ($8.50) and Jesaulenko ($7.50-$7). Barton Bale has the red box and is more than capable of holding them out around the first turn, while Jesaulenko has a terrific record from wide draws, and he has box eight. It will be a great race, and realistically, any of the eight runners could win. David Aiken has the top two horses in the ID16 market, and punters expect either Hectorjayjay or defending champ Lennytheshark to come back from Perth with the trophy. Both are currently $3.40, and both have had good preparations before they set off for Perth. Hectorjayjay has won 10 of 14 since joining the Aiken stable, including the Len Smith Mile, and was an impressive winner of the Markovina FFA last start at Bendigo. Lennytheshark had 2 soft wins in Sydney before a good second to Bling It On at Melton last week after the latter had the cold trail on him the whole way. Outside of that pair, there has also been money for Ohoka Punter and Smolda. 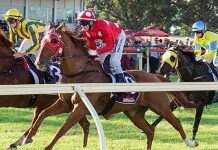 Ohoka Punter ($9), who will be having his first run for the all-powerful Gary Hall Snr stable in Perth, is a true stayer, just what is needed for this series, and did trial brilliantly at Byford in WA on Sunday. Smolda ($15), a member of the NZ team of Purdon/Rasmussen is also a strong type so the way the series is run will suit him, and he is a multiple Group 1 winner. The Heats will be open as soon as the fields are known for the first heat next Friday (25th November 2016). The last horse has barely gone over the finish line in the 2016 Melbourne Cup, but we already have a market open for next year. If you fancy one that isn’t in the list we already have, just ask and it will be put into the field, and the current market has each way betting 1-2-3-4, so for the first four over the line! Francis of Assisi impressed all with his runs here over the past few weeks, and he opens as the UBET favourite at $15 ahead of Almandin at $17. Both of those have already attracted several bets, as have Almoonqith ($35) and Qewy ($35), another of the Godolphin runners who finished fourth in this year’s Cup, just ahead of Almoonqith (sixth).